You have probably seen it before: A client has pressing financial and operational challenges and knows they could benefit tremendously by bringing in an outsourced CFO services provider to help deal with them. But when it’s time to make the commitment to engaging the services provider, they hesitate, unable to pull the trigger — even though they know they should. 1. Improvements or gains they’d like to see vs. their present “tolerable” situation. 2. A pressing source of business pain and potential solutions that could help alleviate it. The narrower the gap, the less urgency there is on the part of the business to take action. Conversely, the wider the gap, the more urgency is felt by owners and executives to “do something” to eliminate it. Even then, though, inaction and “analysis paralysis” often take root, stalling the potential engagement. The inability to make a decision to hire an outsourced CFO services provider often comes down to a business owner’s or executive’s perception of this as a “cost” instead of an “investment.” Owners and executives view the cost (or cash flow outlay) of hiring a services provider as too high when compared to the daily cost of maintaining the status quo — whether this is poor efficiency, low productivity, ongoing losses, or some other financial or operational challenge. Before they can pull the trigger on hiring an outsourced CFO services provider, owners and executives usually have to change their view of the engagement from a cost or expense to an investment. Yes, there is a cash flow outlay involved in such an engagement. However, this engagement is really an investment in the company’s future — much like the purchase of a vital piece of equipment or the creation and implementation of a new marketing and advertising program. An investment differs from a cost in several key ways. Most importantly, an investment will generate future benefits and a return on investment. ROI isn’t always quantitative — getting actionable information in a more timely manner, for example, isn’t easy to measure, but there’s no doubt that it’s highly beneficial. Additionally, owners should look for ways to quantify the engagement via measurable criteria that the outsourced CFO services firm can directly impact. § ABC Company believed that it was drowning in paper, as paperwork had overwhelmed its financial department and the staff required to manage it had grown to 10 people. The firm hired an outsourced CFO services provider to come in and apply industry best practices, including automating many manual processes and replacing much of the paper with archived and secure files. As a result, it now only takes eight people to do the work 10 people used to do — a 20 percent reduction in labor costs. The firm now has the two employees who were no longer needed to process paperwork working on more strategic tasks that are helping boost the company’s bottom line. § XYZ Company was receiving financial reporting information at the end of each closed month. The owner and managers realized that this historical reporting of costs that had already occurred as long as 30 days ago was not providing the kind of forward-looking data they needed to take action when it came to reducing costs. The owner hired an outsourced CFO services firm to provide them with actionable, forward-looking data that enabled them to be proactive when it came to cost reduction. The firm has since reduced overhead costs by 10 percent. When viewed through the investment lens, rather than the cost lens, hiring an outsourced CFO services firm to provide this kind of financial and operational expertise is a wise use of cash resources. Engagements are completed as quickly and efficiently as possible. And when the engagement is finished, so is the expense — there is no ongoing overhead or payroll for the business. Also, employees have now been trained in the techniques and practices used by the services firm so they can maintain them, thus enabling the business to reap the benefits for years to come. 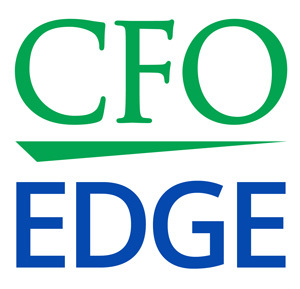 If you have clients who are facing financial or operational challenges but can’t pull the trigger on engaging an outsourced CFO services provider to help them, try to help your client view such an engagement as an investment, rather than a cost. An investment will generate future benefits and an ROI, which may be qualitative or quantitative. And encourage your client to set specific objectives for the engagement that are measurable — if not immediately, at least eventually.